Whoaaa. malam semalam memang havoc. I didn't take too many pics cause aku da mata berair, hidung berhingus bagai. Euw..!!! But the show, trust me - was awesome! Faizal was at his best, walaopon terlupa lirik a little and all, but the energy of his performance was staggering. Cup! Iklan jap! 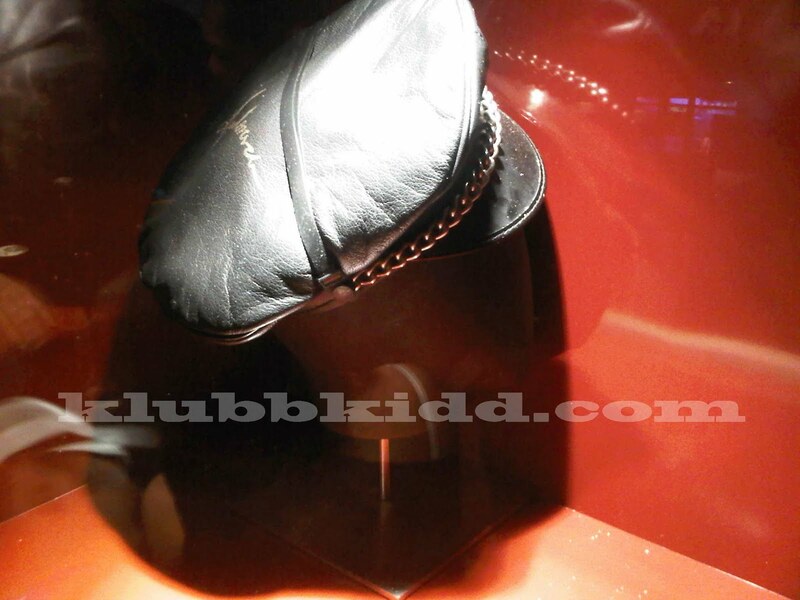 All Hard Rock Cafe mesti ada rock memorabilia kan? But in Penang, I spotted dua yang memang make me want to break the glass of the display case and bawak lari isi nya. Tuh dia. 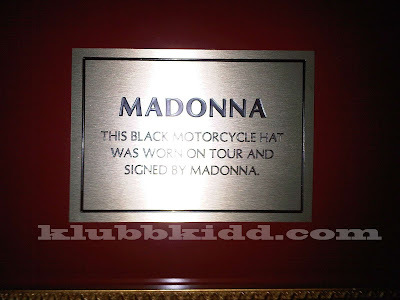 The black motorcycle hat, I've seen Madonna wear before! 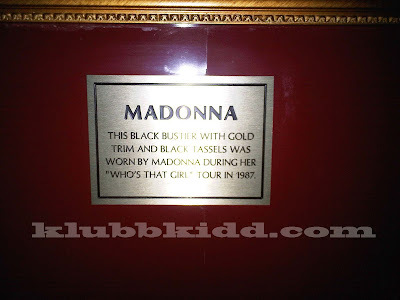 Me likey Madonna big time, so I was just looking at this item lama-lama. Autographed tuh! And that's the second item. That bustier which she wore during the Who's That Girl tour. Matilah... anyways... was bushed, and after the show naik bilik tidur jap. Well konon nak tidur... tapi tak pon. Stakat makan ubat, rehat jap, and later supper ngan kengkawan (lapar lak tetiba), and tengok-tengok Faizal and gang pon winding down sana. Anyway, pada fans of Faizal - here are some more pics for you guys. 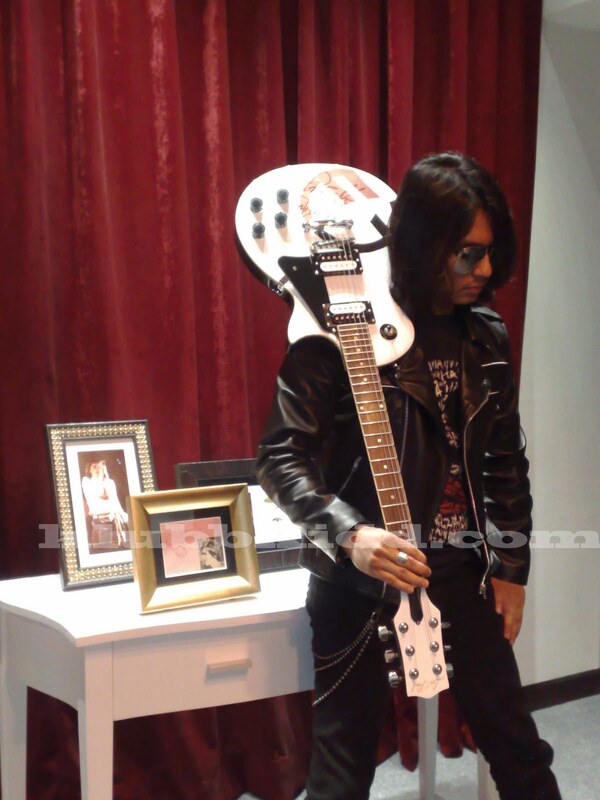 Note the FT guitar he's holding, has been given to Hard Rock Cafe Penang and will be displayed there. 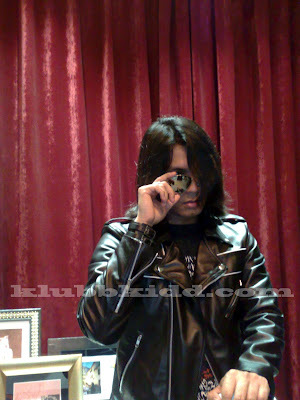 Er... last pic tu propah ye. Si Faizal wat ala ala nak smash it, but trust me, he didn't. Matilah nak ganti since da jadik Hard Rock Cafe Penang property dah. Will post later.. still not feeling too well. 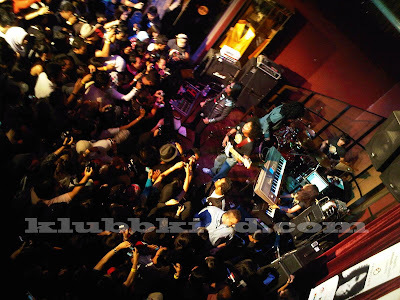 joe, kt malay mail ada tak kluar article psl launching n showcase adrenalin tu? klu dh ada, bila? 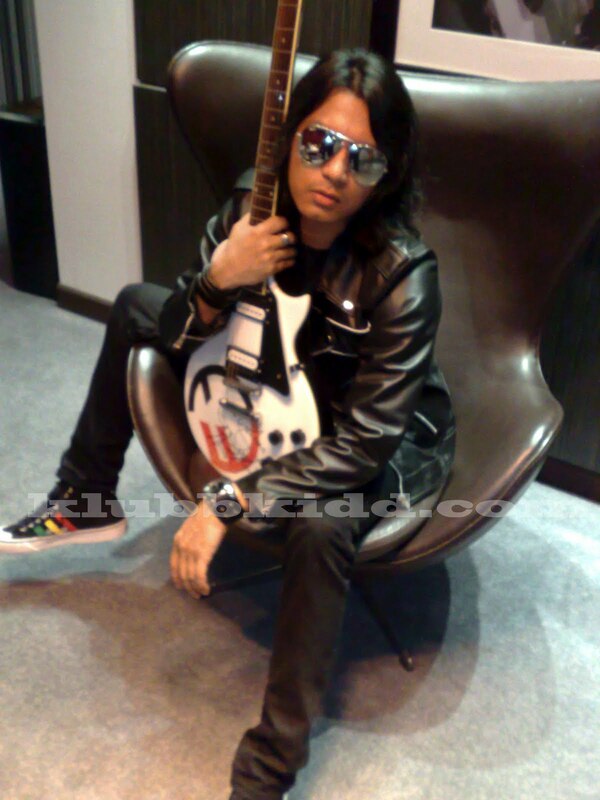 klu blm, attach la skali pic menu adrenalin tu sbg promo esp for pihak hard rock hotel. menu tu cuma sebulan je plak tu. paper2 lain x promot pun. balik2 cite psl layanan rockstar la, anak emas la. x habis2.